The World Flora section is placed in the north - western part of the "A. Fatu" Botanic Garden and presents approximately 12,41 ha area. The terrain includes a fragment of the garden's plateau and two slopes accentuate inclined under the influence of active landfalls. 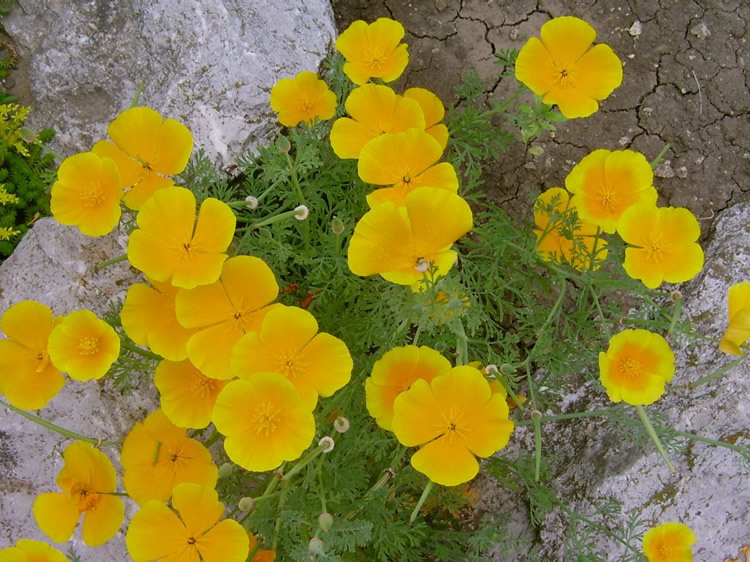 The plants cultivated there have been grouped taking into account their origin and have been distributed according to the natural and mixed landscape architecture styles. The access to World Flora section is realized by a alley situated in the proximity of a rockery (400 m2) where are cultivated succulent species from Mexican deserts, most of them included in Agavaceae, Cactaceae and Crassulaceae botanic families. Those species, presenting succulent stems or leafs, are protected in winter in the greenhouses complex. In the front of this rockery there is an "solar clock" having the 12 hours points marked by 12 brownstones spheres brought from the Feleac hill. In its centre there is a larger sphere that is sending its shadow (in each hour) on the sphere corresponding to the respective hour. In the immediate vicinity of this rockery, the plants originating in Central and South America cultivated in our climate as annual species are exposing their bright and diverse coloured flowers: Ageratum, Cosmos, Eschscholtzia (Californian poppy), Petunia, Portulaca etc. The representatives of Central and Northern Europe flora are species met in the boreal forests edified by coniferous (pine, spruce fir, European larch, juniper) or deciduous trees (beech, oak, hornbeam, hazelnut). 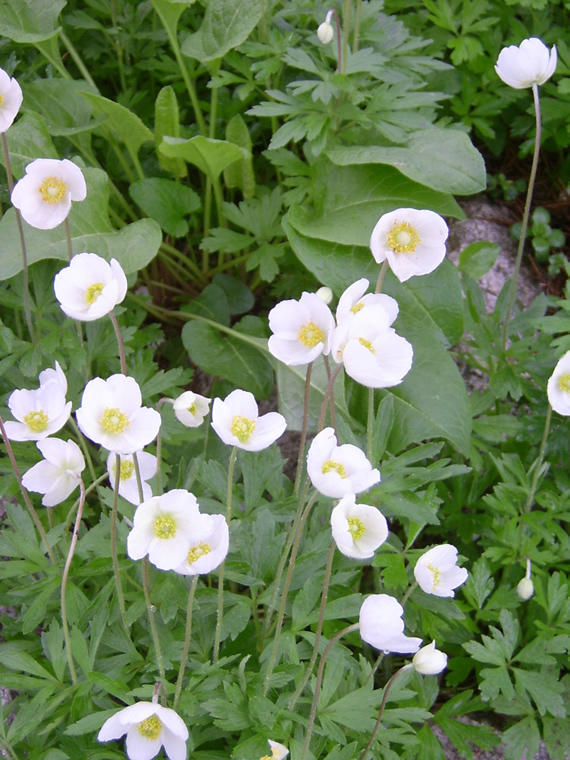 Together with some herbaceous species, the trees are grouped near the "Alpinarium" named rockery. 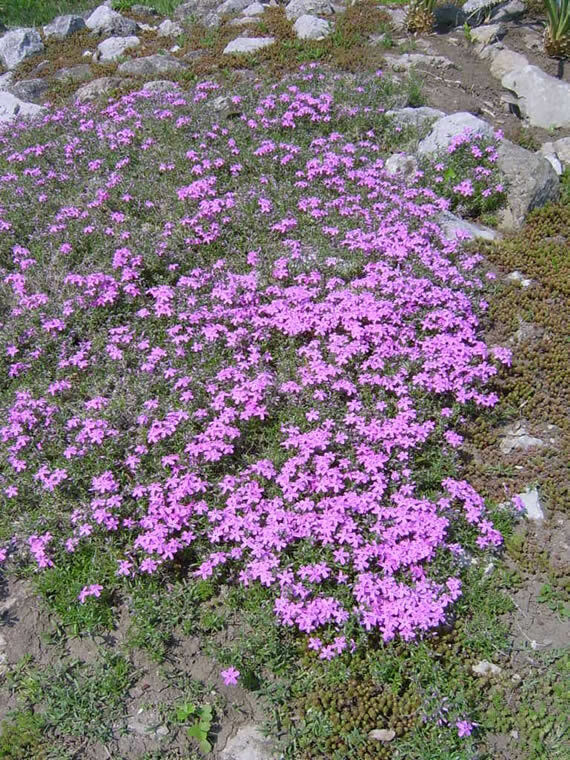 This ecological environment is realized of calcareous rocks, on an inclined terrain, presents approximately 2000 m² and groups together species characteristic to European mountains; among that some rare species as Aethionema thomasianum, Horminum pyrenaicum can be admired by the visitors. 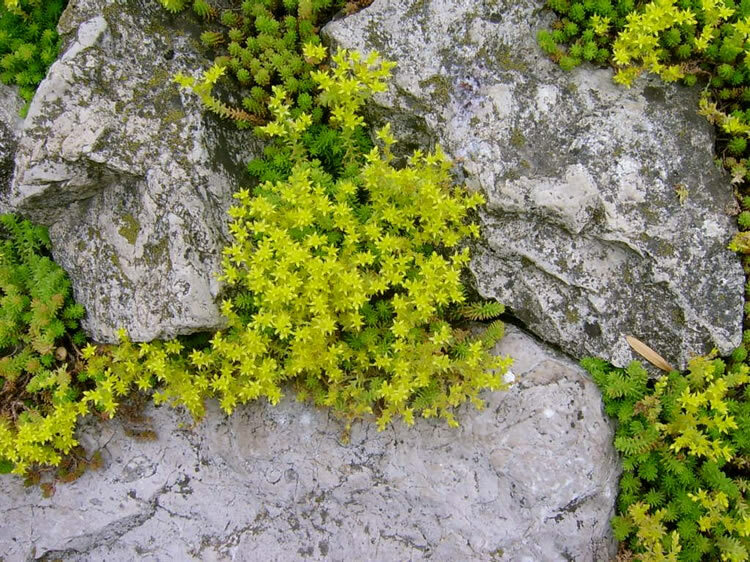 A smaller rockery realized of granitic rocks, is destined to calcifugal plants cultivation. 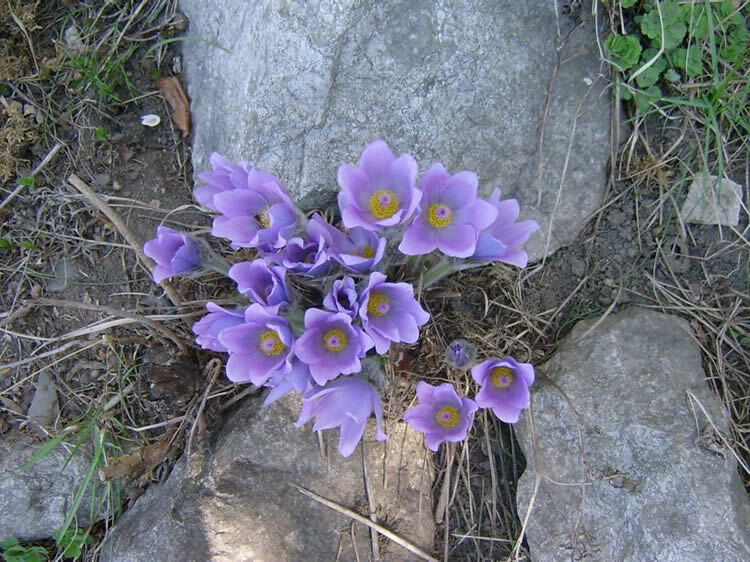 The elements of pontic – pannonic steppe are grouped on an arid and sunny terrain of 2 ha area, covered in natural vegetation preserved since the beginnings of the Botanic Garden: Prunus fruticosa (European dwarf), Prunus tenella (dwarf Russian almond), Rosa gallica (gallic rose), Adonis vernalis (spring pheasant’s eye), Pulsatilla nigricans etc. Among species characteristic to Turkestan flora, in our climate conditions vegetates Ulmus pumila var. 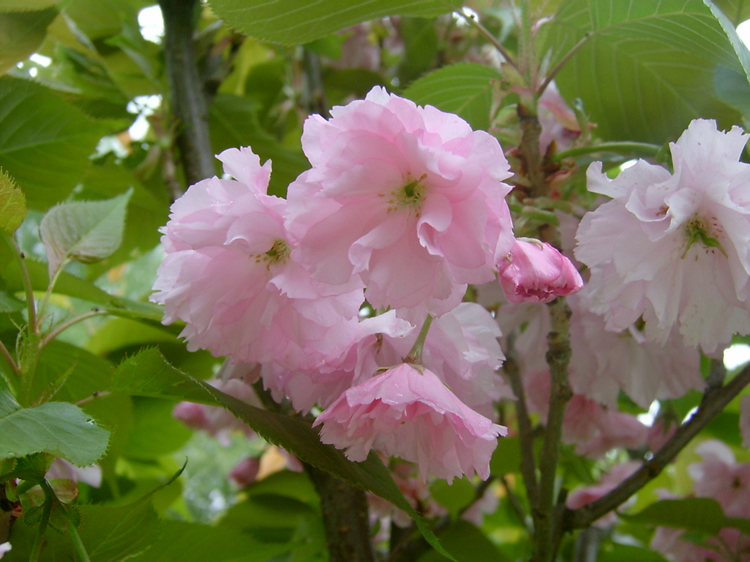 pinnato-ramosa, Malus sieversii (very decorative by its leafs and intense red-violet flowers), Fraxinus potamophylla etc. Among species characteristic to Balkan flora, in this section are cultivated Forsythia europaea (forsythia), Paliurus spina-christi (Jerusalem thorn), Petteria ramentacea and Periploca graeca (silkvine). In the immediate vicinity are cultivated species characteristic to Mediterranean basin: Buxus sempervirens (common box), Prunus laurocerasus (cherry laurel), Pyracantha coccinea (scarlet firethorn), Ilex aquifolium (English holly), Lonicera etrusca (Etruscan honeysuckle). Some Mediterranean elements can be found in the spontaneous flora from south and south – western parts of our country: Acer monspessulanum (Montpelier maple), Carpinus orientalis (oriental hornbeam), Castanea sativa (European chestnut) etc. A sunny rockery presents species traditionally cultivated by Romanian people: Hyssopus officinalis (hyssop), Lavandula officinalis (lavender), Mathiola incana and Salvia officinalis (common sage) etc. Descending the Vineyard Alley, on the left side, are situated the rocky groupings that are offering images of the species characteristic to central Asiatic mountains. The elements of the boreal Asiatic coniferous woods (Picea obovata – Siberian spruce) are accompanied by some deciduous species, very decorative: Caragana arborescens (Siberian peashrub), Staphylea emodi (Himalayan bladdernut), Juglans mandshurica (Manchurian walnut) and Menispermum dauricum (Asian moonseed). Representatives of the Caucasian flora are grouped depending on their origin: Caucasian forests (Abies nordmanniana – Nordmann fir, Picea orientalis – Caucasian spruce, Celtis caucasica – Caucasian hackberry, Acer opalus), colchidic elements (Andrachne colchica – Caucasian spurge, Dioscorea caucasica, Staphylea colchica – colchis bladdernut) and species from Caucaz Mountains (Arabis caucasica, Brunnera macrophylla, Puschkinia scilloides, Sedum spurium etc.). The diversified flora of the extreme orient is represented by species already acclimatized in our country: Pinus thunbergii (Japanese black pine), Lonicera japonica (Japanese honeysuckle), magnolia, sweet cherry and apple species. By the banking process of the Vineyards rivulet two islands that will be used to present species from Japanese flora, have been contoured. The largest part of this sub-section, respectively the western oriented slope, is reserved to Chinese and Korean flora presentation. The presence of a small rivulet completes the landscape, on the watersides being planted the bamboo (Phyllostachys viridi-glaucescens) and willows (Salix babylonica and Salix matsudana ‘Tortuosa’). Among the most interesting species we can mention: Ginkgo biloba, Actinia arguta, Akebia quinata, Euodia hupehensis, Schisandra chinensis etc. The herbaceous flora is represented by species of Hemerocallis, Hosta, Incarvillea etc. 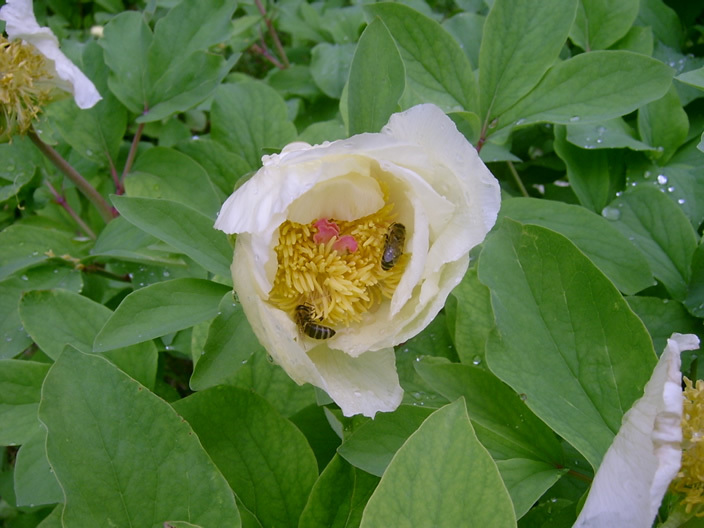 On the western slope of the Vineyards Valley, a 5,5 ha area is reserved to North America flora presentation. The species are grouped in three subdivisions: Canadian boreal forest, Pacific coastal forest and Atlantic coastal forest. Among the numerous species cultivated there, Juniperus virginiana, Pinus banksiana, Pinus strobus, Pseudotsuga menziesii, Acer saccharinum, Carpinus caroliniana, Quercus rubra, Amorpha fruticosa, Aronia melanocarpa, Desmodium canadense, species of Cotoneaster and Crataegus genera can be remarked. 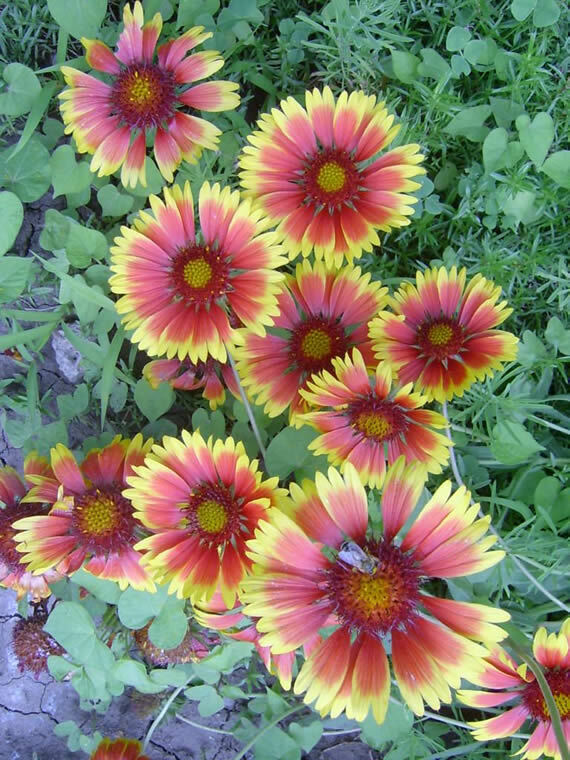 The herbaceous plants are numerous, most of them very decorative: Acuan illinoensis, Aster sp., Coreopsis sp., Monarda sp., Penstemon sp., Rudbeckia sp. Walking through the World Flora section, the visitor can form to himself a general image of the flora from different geographic regions of the Earth.